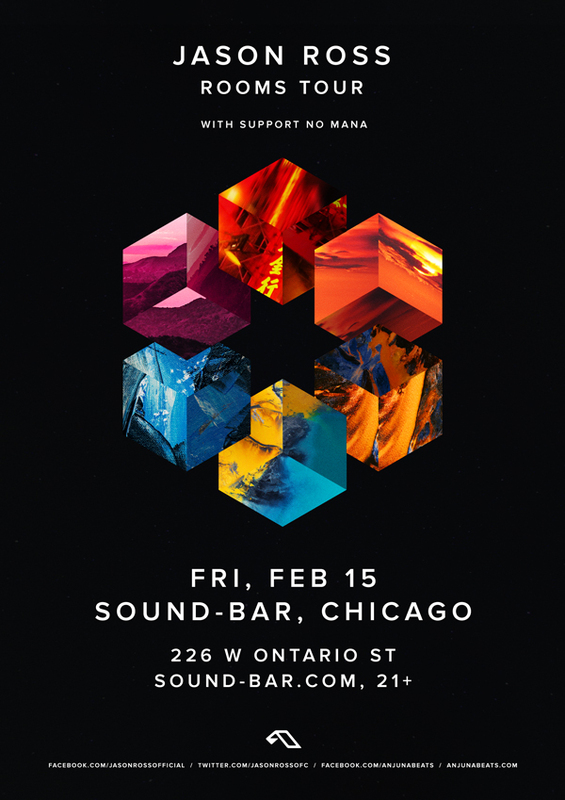 Sound-Bar is proud to welcome back Anjunabeats superstar, Jason Ross, along with special guest, No Mana! increasing dexterity, while a smash collaboration with Cosmic Gate and a remix of Hailene’s “Dream in Color” maintained his production roots. Jason saw his heaviest touring schedule yet in 2018, performing at renowned music festivals including EDC Las Vegas, Tomorrowland, Ilesoniq and Digital Dreams, plus directly supporting Seven Lions’ massive “The Journey 2 Tour,” with plays at legendary venues like The Hollywood Palladium, Bill Graham Civic Auditorium and Red Rocks Amphitheatre across over 40 dates. His upcoming 6-track Rooms EP will introduce fans to both new and familiar sounds, showcasing Jason’s mastery of production, while preserving the emotive qualities of his music. Accompanied by his largest headline tour to date, it’s a smash beginning for 2019 that heralds far more to come through the rest of the year.